Wounded Times: Congress Finally Got It Right On PTSD Discharges? Congress Finally Got It Right On PTSD Discharges? WASHINGTON (Gray DC) -- There may be hope for veterans with post-traumatic stress disorder (PTSD) and other wounds of war. 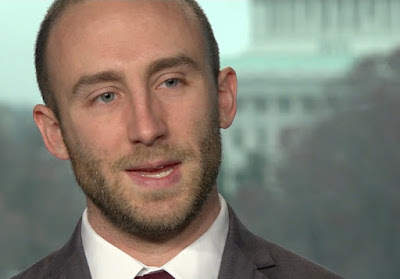 "[This is] a major victory, and something every American should be celebrating," said Army veteran Kristofer Goldsmith, who has been fighting for the Fairness for Veterans Act: the bill Congress finally passed last week. Goldsmith explained, "[It] is going to make sure veterans, who were discharged with less-than-honorable discharges and denied access to things like health care, are going to have their health care fully considered." That wasn't the case for Goldsmith, who received a less-than-honorable discharge after he tried to commit suicide - a result of his post-traumatic stress disorder. "Even though they're suffering from these invisible wounds of war, they did not have access to the VA and the specialized treatment that they need." said Sen. Gary Peters (D-MI), who authored the legislation. "We're going to work to move this along as quickly as possible for the Department of Defense to set up a process and the VA as well to do that."